canal houses wall decoration - robins hood - dutch design - interior - accessories - vintage. 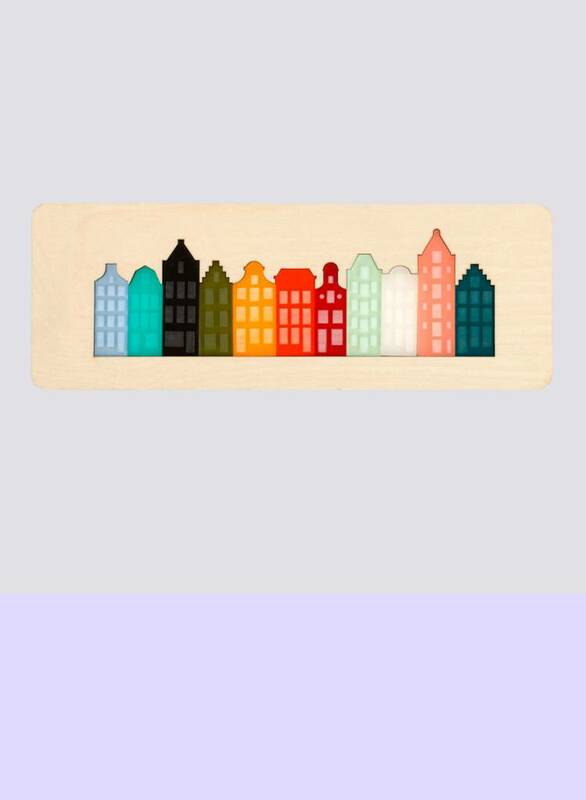 These colourful canalhouses certainly a very special design gift with an Amsterdam touch! this item consists of 11 characteristic canal houses in different strong colors. note; this version has an invisible hook to hang on a wall and the houses are fixed. It certainly is a local product to the max, made right there on one of the canals, this beauty is lasercut. The maker cre8 is a conscious collective, which helps disadvantaged youngsters learn new skills and discover talents by designing, making and selling unique products. This design item is manufactured with a laser cutter: the pieces of the puzzle are cut out of plexiglass, and the frame out of birch plywood. The laser cutter creates a unique black cut line, which gives a special finish on the edges. material; plexiglass and birch plywood. size; 33 x 12 x 1 cm. 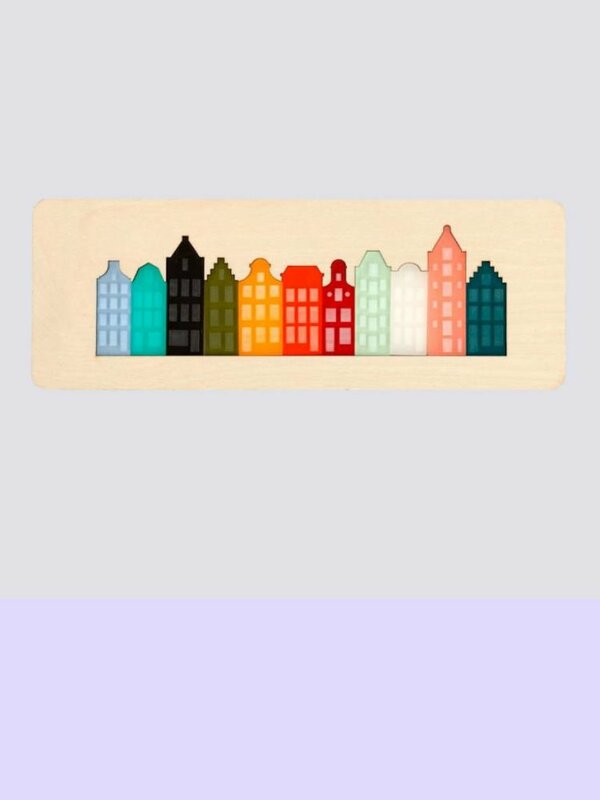 In short; this design piece will remind you of the wonderful city of Amsterdam. Take the amsterdam canals with you. Why not wear them around your neck?